Eli Howard Surf School offers surfing lessons in several different formats. There are classes suitable for all ages and athletic abilities. You can choose to learn in a group setting, private or semi-private lessons. Or learn to surf in a Morning Surf Camp, or a multi-day surf camp. With the proper surf instruction, all students can have the ultimate wave riding experience within their first lesson. 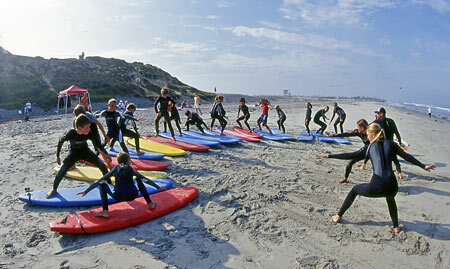 Surfing lessons are available year-round, seven days per week, even in California's mild winter. Morning Surf Camps for Kids run through summer. Call to reserve your space today!